A collection of previously unreleased tracks recorded by the Jackson 5 will go on sale worldwide Nov. 10, celebrating the 40th annivesary year of the band's first hit record. "I Want You Back! 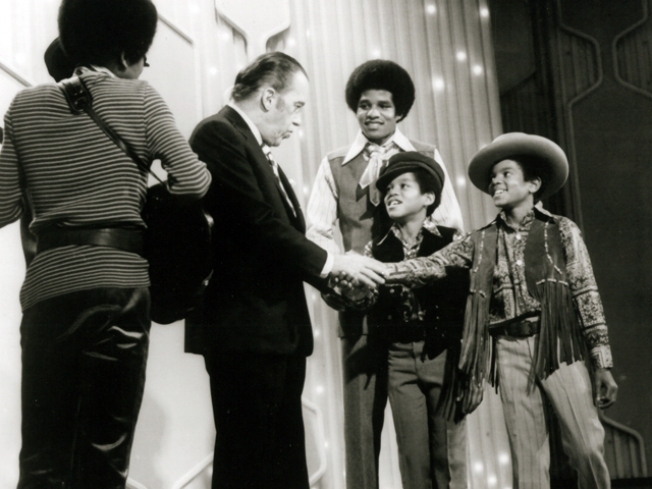 Unreleased Masters" will feature 12 Jackson 5 tracks recorded by the band from 1969 from 1974, USA Today reported. The album will be released in tandem with the reissued "Jackson 5 Ultimate Christmas Album," a collection of the band's holiday hits. A Stevie Wonder collaboration, "Buttercup," will be featured on the album, as will an alternate version of "Never Can Say Goodbye." The Jackson 5's first hit song, the blockbuster "I Want You Back," was released Oct. 7, 1969 and shot to the top of the Billboard charts. The first single off of "I Want You Back! Unreleased Masters," called "That's What Love Is" is available on iTunes today to celebrate the Oct. 7 date. It can also be heard free at jackson5.com.